Fascinated by tarot cards? Want to read them on your own? This guide to tarot reading for beginners will help you read cards with confidence. Reading cards is no rocket science; this is no child's play either. One requisite to read cards is to have a strong intuition. So, if you believe you are quite intuitive, what's stopping you from reading this beginner's guide and then reading the cards? Tarot cards may seem complex and they are, but the trick is to learn step by step. If you attempt to learn everything at once, you will become overwhelmed. Start with simple card spreads, simple methods of reading, and simple meanings of cards. This will give you the confidence to read cards. Before you go any further, you must know that there are 78 cards in a tarot deck. It contains 22 Major Arcana and 56 Minor Arcana. You may read books on how to read tarot cards. You may even attend tarot reading classes, but as long as you do not connect with the cards on a personal level, it won't work. It is important to relate your daily life with cards. For example, how are you feeling today? Now relate this to a card from the deck. Relate cards to people whom you know. Say, what card seems to represent your neighbor or colleague? This helps you be up close and personal with tarot cards to learn how to read them. Nearly all books on tarot cards advise beginners to start with the Celtic Cross spread. This contains 10 cards. But, most tarot card experts advise against this. According to them, this isn't such a great place to begin with reading cards. Instead, you must use the 1-3 card spread. This is simpler yet provides a deeper insight into this skill. The best method of tarot reading for beginners is to draw one card each day. Only then can you connect with the cards personally. Ask the card, "What energy must I concentrate on today?" You must try to work towards manifesting that energy whole day. You can also ask the card, "What can happen today?" Then, when the day ends compare what happened and what the card suggested. You will create a closer bond with your cards with each passing day. This is one of the easiest ways of tarot reading for beginners. Observe the picture. What is happening in it and why. Does the picture say something? What moral do you extract from it? Now relate this to what exactly is happening in your life. Does the story happening in the image relate to your life story? Does it teach you a few lessons or indicate you something? You need not memorize the meaning of the cards by using this technique. Simply read the card image. Use your intuition. Most people fall behind in this. Not their fault. The modern lifestyle has made us more materialistic and less in contact with our 'self.' We would rather listen to a Whatsapp advice than our inner voice. If you wish to become a tarot card reader, you must learn to listen to your intuition. Put down those books. Just hold a card in your hand. Imbibe its energy. Know what it is saying. Don't worry if you interpret it wrongly as per the books. Just let your intuition work upon the card. Almost all the time, you will find that your intuition interprets the card correctly! At times when it does not, it could be that your mind is blocked with mixed feelings that are not allowing the intuition to flow smoothly. It helps to strengthen your intuition, which is the basic thing required for tarot reading for beginners. Who says you cannot read cards for yourselves? Tarot reading is a powerful healing therapy that leads to self-discovery and spiritual and personal growth. You know yourselves better than anybody else. So, when you are starting to read cards, you are the best candidate. Spare some time every day to do some tarot reading. You will learn a lot about tarot cards and about yourself. An interesting thing about tarot reading for beginners is that your friend may have a different perception of tarot cards. For serious learners, it would be wise to find somebody with whom you can practice reading tarot cards. You both can teach one another and support each other in your growth and self-discovery. Tarot reading for beginners suggests doing one thing at a time to gain mastery over the skill. Avoid rushing. If you try to learn everything simultaneously, you might learn nothing. This can dishearten you. Perhaps you may not want to go any further in this therapy. You may even end up thinking that tarot reading is complex and too tough to learn. This is not so. The trick is to make the process enjoyable. Don't let frustration creep into you on seeing the pile of weird-looking cards (often they look like this to a layman). Slow learning is the key to tarot reading for beginners. It helps you learn each card thoroughly. Rule #10: While learning basic tarot reading, break the rules! One of the things that make tarot reading for beginners complex is the rules. "You should not buy a deck of tarot cards for your own use." "You must use tarot cards for self only when it is gifted." "You should not let somebody else touch your deck of cards." These and many more are not actually rules, but misconceptions or you can say myths. So, shatter those myths into tiny pieces and read your cards freely, but ethically. Breaking rules helps you learn tarot reading faster. Otherwise, you would be entangled in the so-called rules and never reach the learning point. Often, amateur tarot readers ask the same question again and again. They think they would get a better answer every time. It's like they are wanting to hear what they want to hear. Some people do a reading in a highly emotional state of mind and when the card blurts out the truth they are non-receptive to it. Then they say that tarot cards don't work. Avoid all of the above. You must accept what the cards say. Tarot reading is not for entertainment. It is not necessary that the cards will tell you what you wish to know. They may also tell you things you never knew about or things you never expected to know. Therefore, when you pick a card keep an open mind and heart. Tarot card reading courses in Delhi are a rage. You can enroll for one of these courses and become a certified reader. One of the biggest benefits of these courses is that you learn from experienced and renowned readers. Give yourself space and time to accept the wisdom they deliver to you. This is one of the most feared tarot cards, especially in tarot reading for beginners. Most people think that death card means death is around the corner. This is so untrue! This is a card that indicates transformation and change. It symbolizes the time that makes you free to let go of things or people who, no longer, serve your purpose on the Earth. You would be surprised to realize how uselessly we cling to those things or relationships that we could happily do without. Do not resist the process of letting go. There is something or somebody better for you. But for that, you must first let go of useless stuff from your life to let the new enter. The death card indicates rebirth. It is like having a new life. You need courage and willingness to welcome this major change in your life. Be excited about what the Death card has to offer. It implies that the worst is over. The best is coming. The card indicates that it is time to move on, forget the past, and embrace the new things that are about to come or happen in your life. The end is here. So is the beginning. This is another feared card in tarot reading for beginners that makes people think about devils and all the negative things. The Devil card shows an image of the Devil between two souls or personalities. The image appears as if the Devil has captured the two souls. The Devil card indicates temptation. Here, the Devil is the temptation that seizes the mind or the soul. The Devil in your life could be some addiction, abusive relationship, people who are highly dependent on, your behavior, and more. An interesting thing to note in the card is that the souls are held by the Devil only through a loose connection. This means the captured souls can easily break off the binds! But they don't! The Devil card indicates a mental issue. You are bound by your temptations. There are ways to be free, but you don't use them. You simply let the Devil take charge of you. The card clearly points out that there are things in your life you must be wary about and free yourselves of them. The card urges you to ask yourself: What temptations are holding me back? Are my addictions hindering my progress in life? Are there people or situations in my life that are draining out my energy? The Devil card indicates that you have allowed your habits or certain people in your life to control you. The card suggests taking back the control of your life. It is time to break free of the Devil. In tarot reading for beginners, The Eight of Swords card is a feared one. Not people's fault, for the card depicts a picture that triggers fear. The card shows a woman who is blindfolded and bound. Eight swords surround her. The woman's head hangs in despondency and worry. The Eight of Swords card indicates a mental reality, not a physical one. The point to note in the card is that the woman is not guarded. This means she can take the situation into her hands. Another point: Her feet are free. This means she can move. What she needs is a belief in herself. The card indicates the fear that trap people and, in spite of the fact that you are free to move, you don't move. You tend to stay wherever you are in life, despite the situation not profiting you in any way. The card suggests trying a little harder to cut the bounds and remove the blindfold that prevents you from seeing what exactly is. You must tactfully find your way between the swords. In other words, the situation is not as grim as you think it to be. Opportunities are galore but your blindfold is not letting you see them. The woman in the card is unguarded. This means nobody is there to stop you from freeing yourself and moving ahead. The number 8 indicates karmic glory. All you need to change your life is faith and another attempt. There are various cards available in the market and if you are a beginner always take some time to select your deck. Hold the decks in your hand one by one and see which deck pulls you towards it. Not only you but everything around you is made up of energy, the right deck will halt you and you will feel like looking inside. Believe me, you will feel an instant connection. Once you have got your deck or, in other words, your deck has got you, try to hold it in between your palms in the comfort of your room in a well lit airy place. Mentally affirm that the deck is releasing all its negative energy, if any, and is filling with love and light. Meditate on the cards, attune yourself to them and connect to the cards. Once you have charged them with your energies, put them carefully aside and go through the guidance booklet, if any. Read and re-read the meaning of each card, go through the cards and practice daily. Soon you will see that you, no longer, need the book and the cards are communicating with you. Practice reading cards for different people at home, your parents/spouse/children/friends/colleagues and then, when you are confident enough, you can read them for others or professionally. Remember, the cards are used as a guide to help you make any decision and as a tool to look into the past, present and future of any problem or situation. They are highly accurate and aid in coming into contact with one's higher self. If you have anything in your mind, it will be there on the cards. They give you direction and in-depth knowledge. So, always respect them and keep them clean and dust free. Keep them secured in a piece of fabric or in a box. You can read the cards in different layouts, focusing on your needs and according to the questions asked. There can be a single-card reading or a three-card reading for past, present, or future. They are read with focused questions, a clear mind, and with great respect. These cards can be used for solving problems, self-improvement, meditation, handling situations, visualization and for future telling. These cards have their own consciousness; so give them respect. Keep them free of dust and do not let another person hold them. After the readings, make sure you have put all the cards in a proper order. Practice to shuffle them well. There are no negative cards, e.g, death card in a tarot doesn’t mean physical death but only represents a complete change of thought or an idea. Similarly, Devil card represents temptations and how the other two people have themselves enslaved towards it. Read only what you can see in the cards, do not get personal. Don’t read with a biased mindset. Do not read cards to please others, be truthful. Charge something for your reading to escape karmic debts. Mrs. Ashita Saxena is the author of "Krishna Consciousness Cards – for prophecy, healing and meditation." 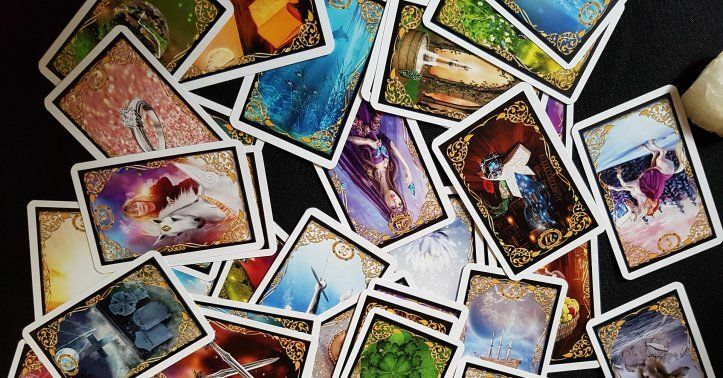 For those who are quite serious in learning tarot reading for beginners, this is the right time to enroll for one of the tarot card reading classes in Delhi. So, what are you waiting for?